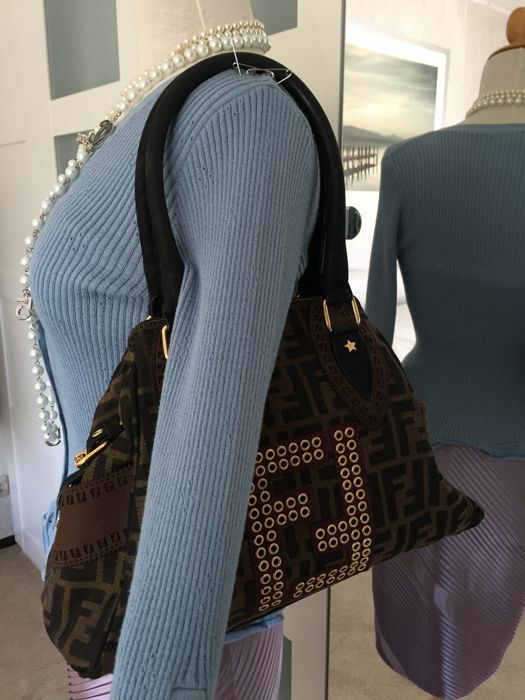 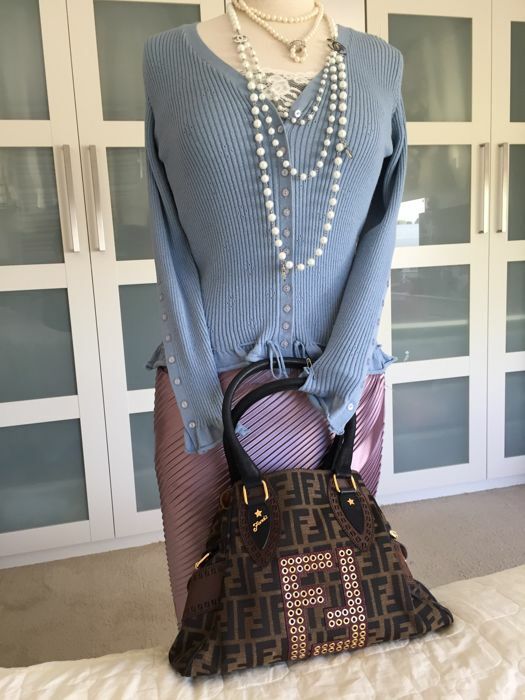 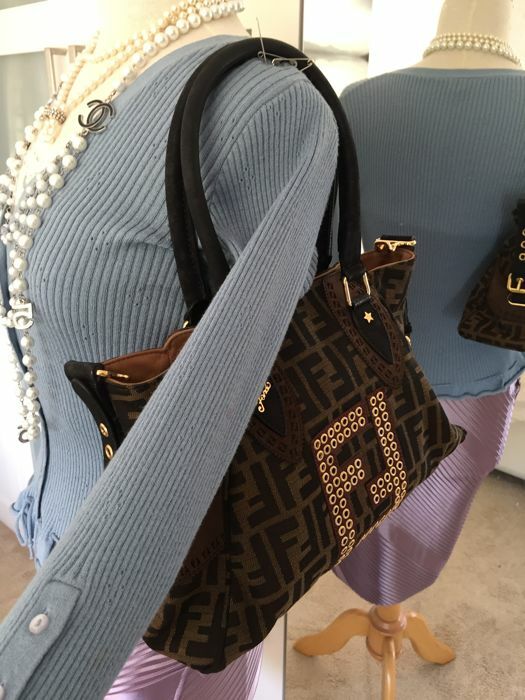 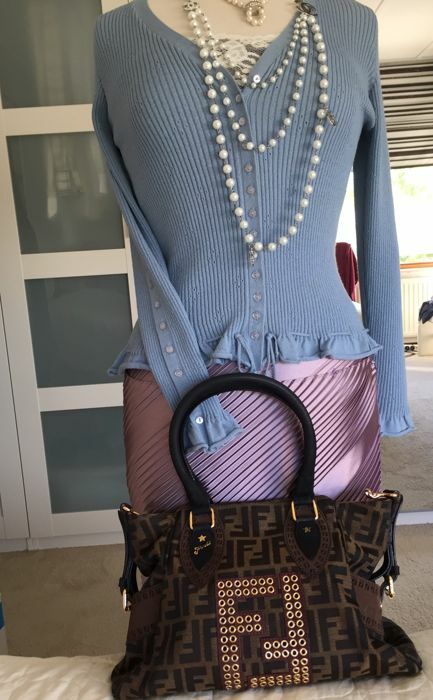 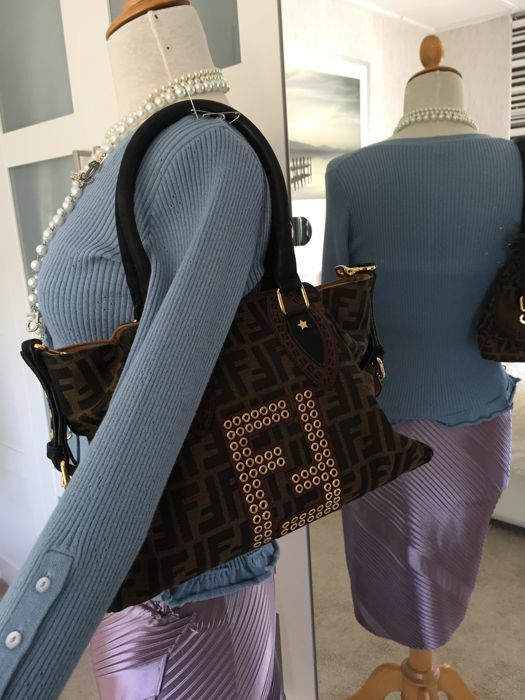 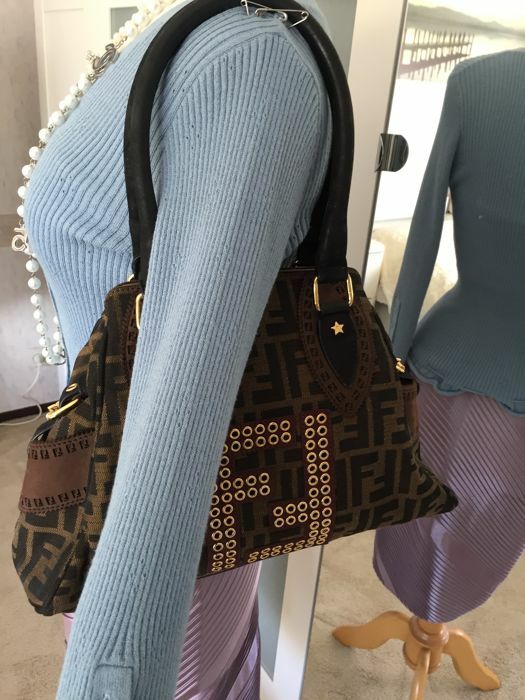 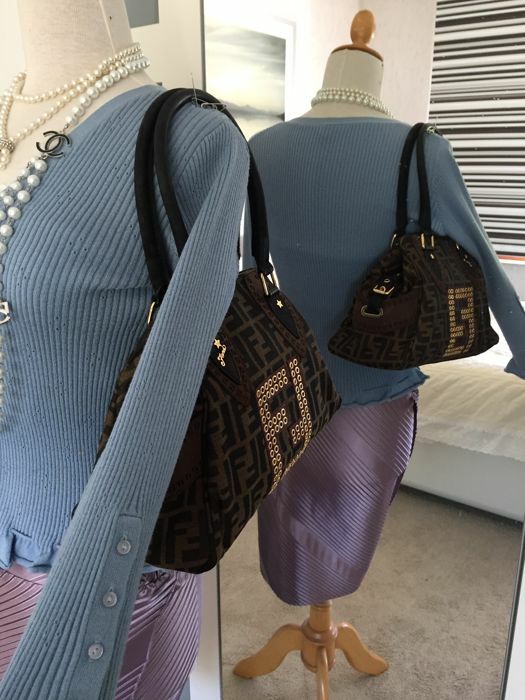 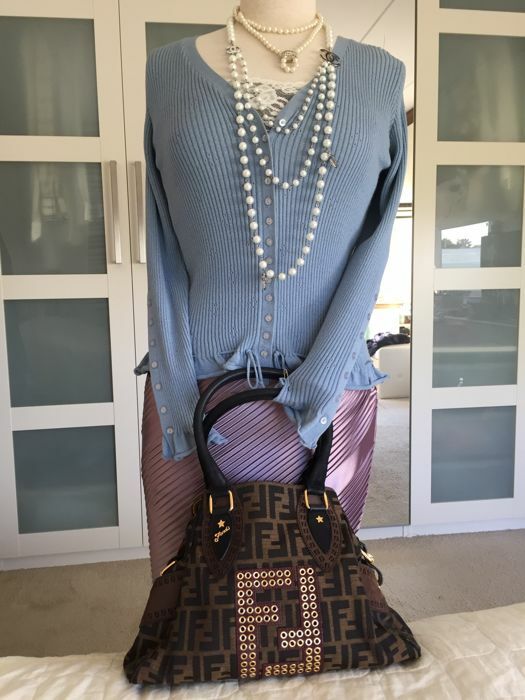 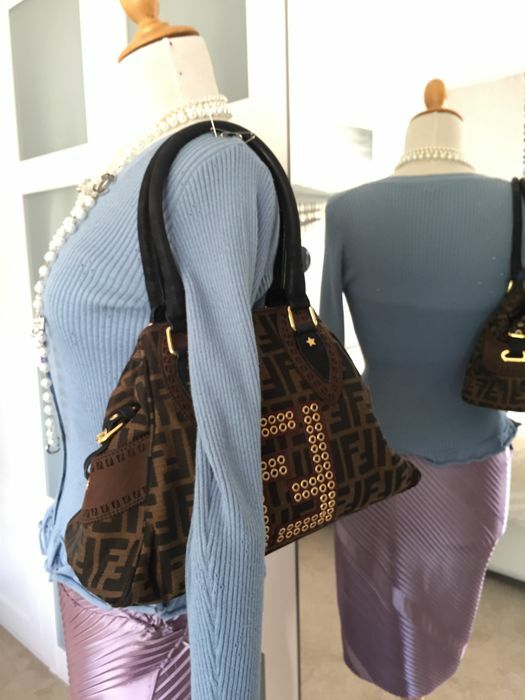 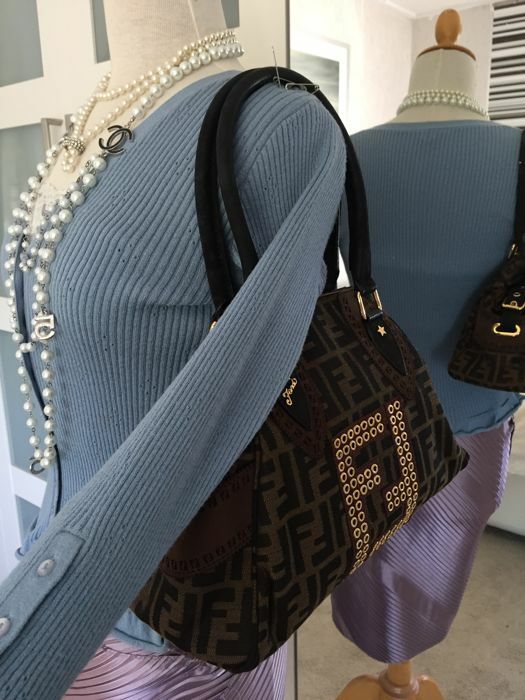 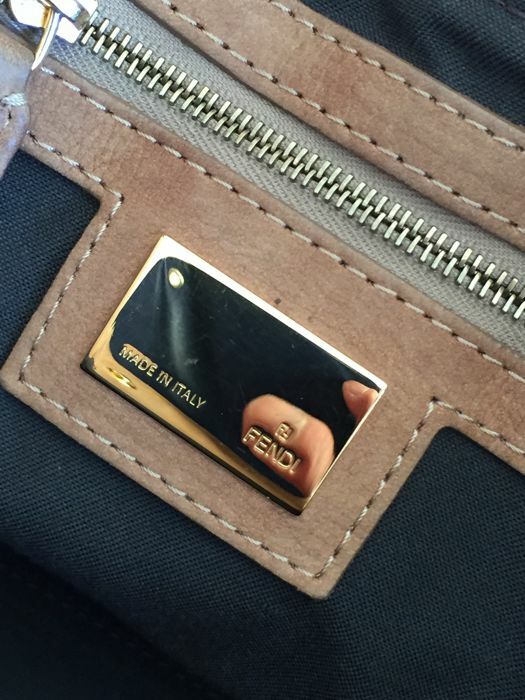 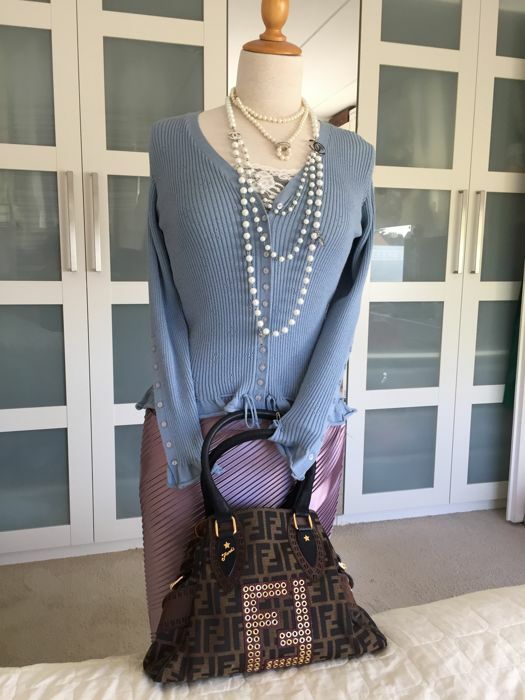 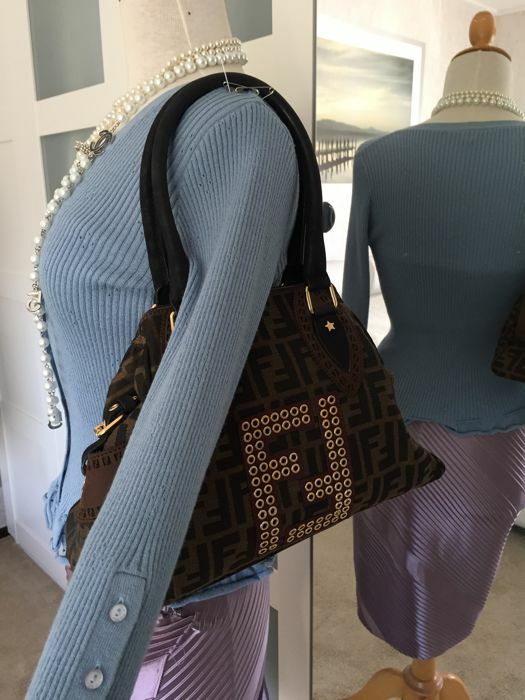 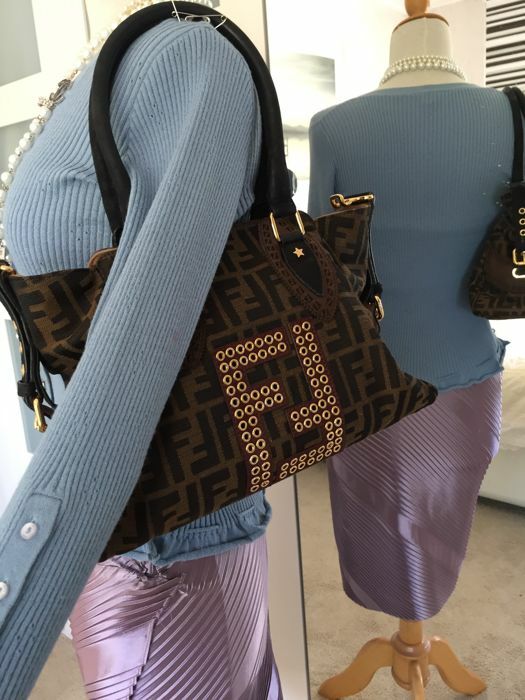 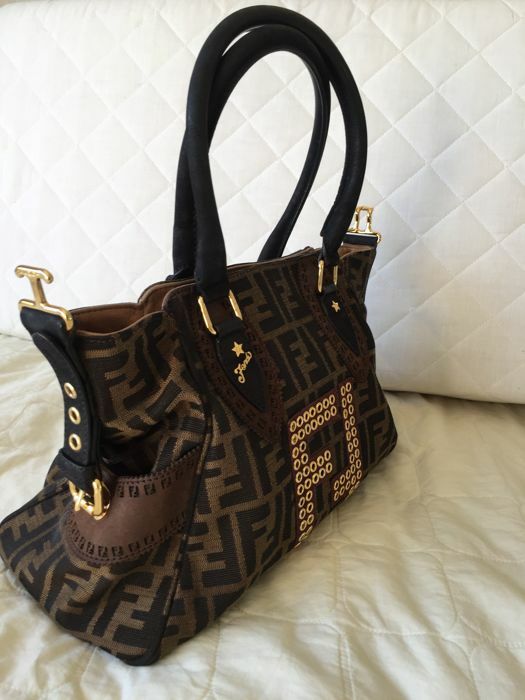 This chic Fendi Tote Bag makes a perfect everyday bag. 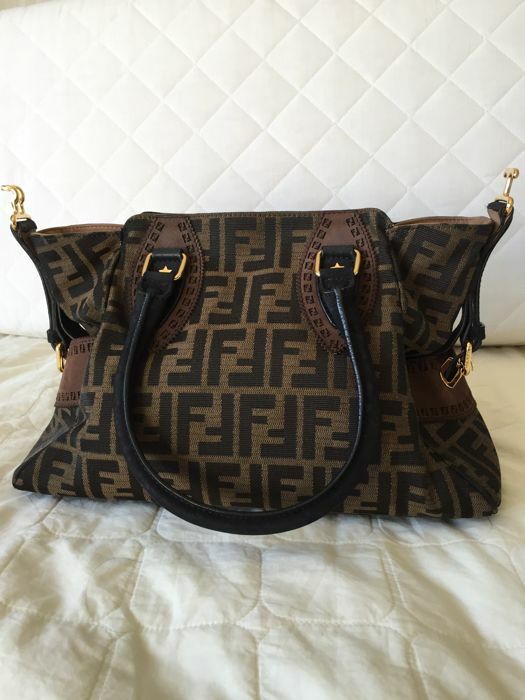 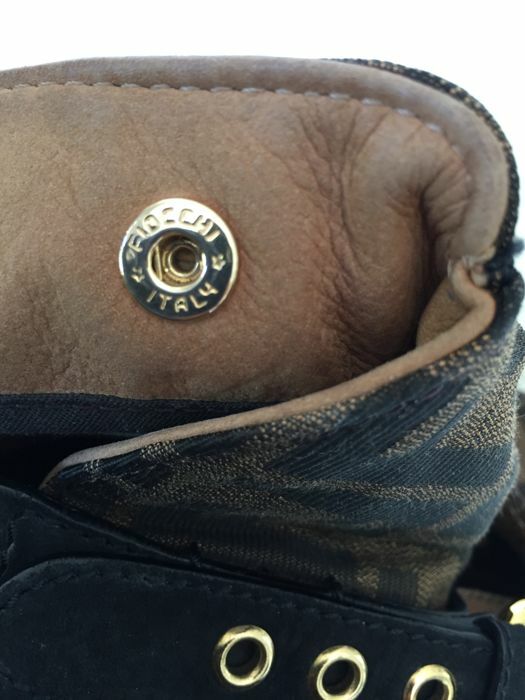 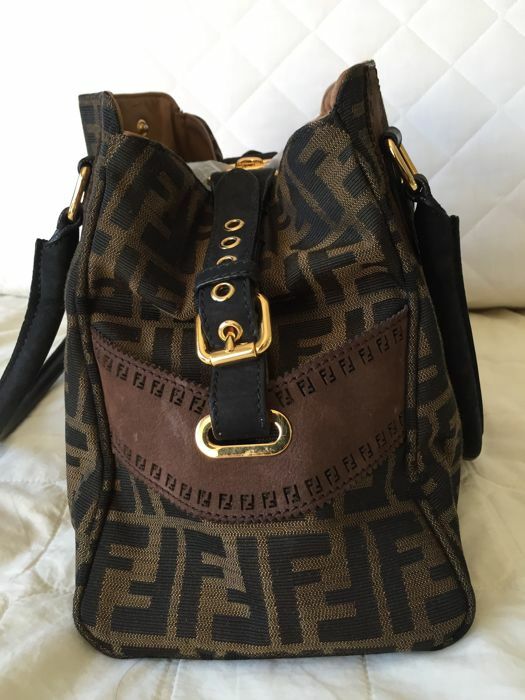 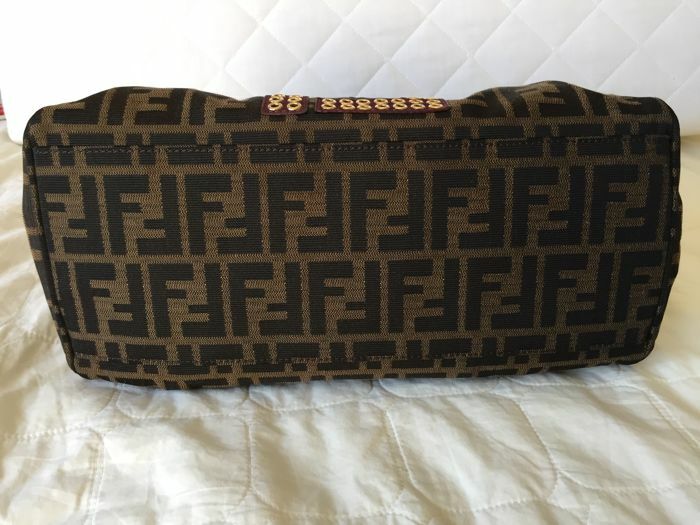 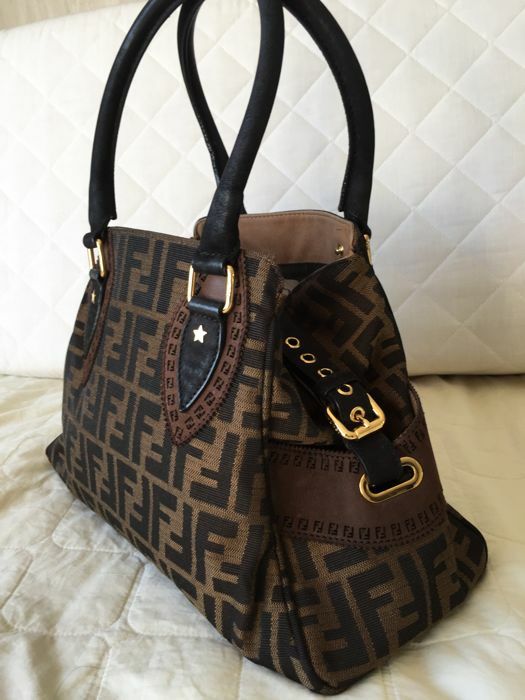 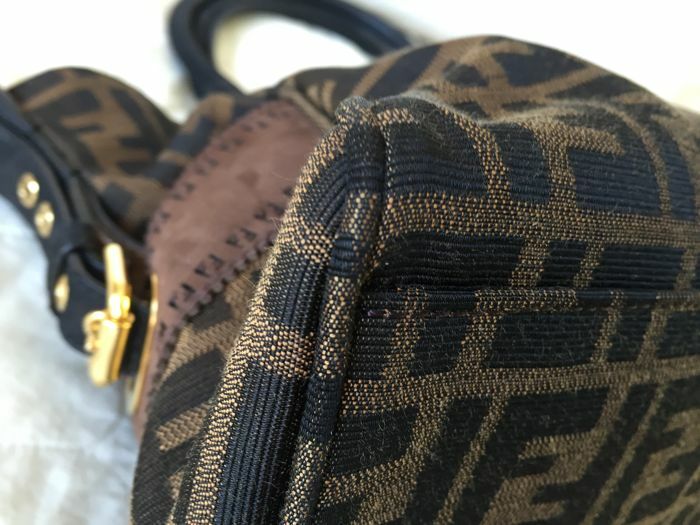 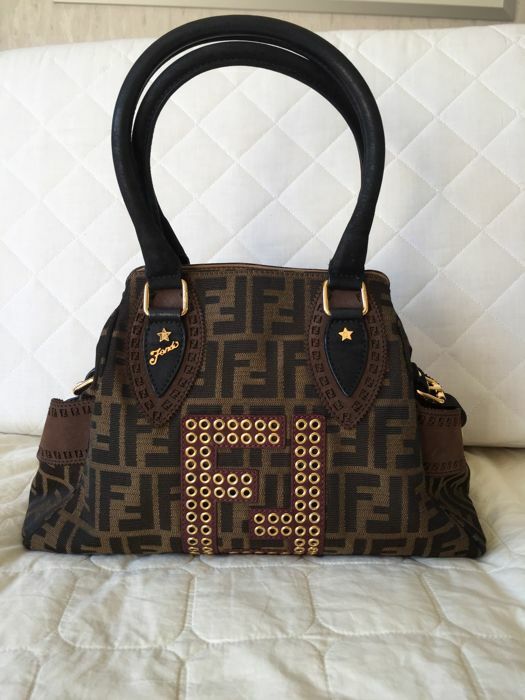 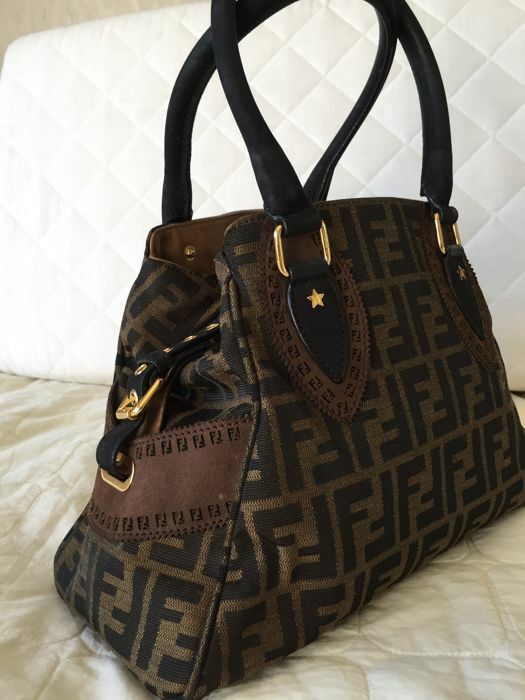 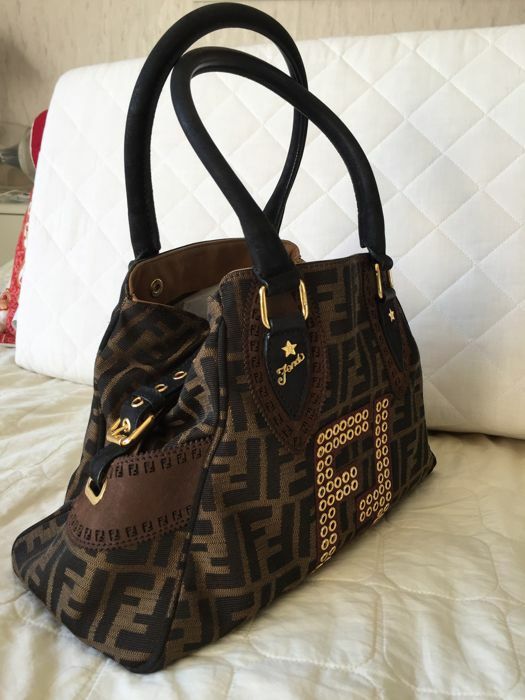 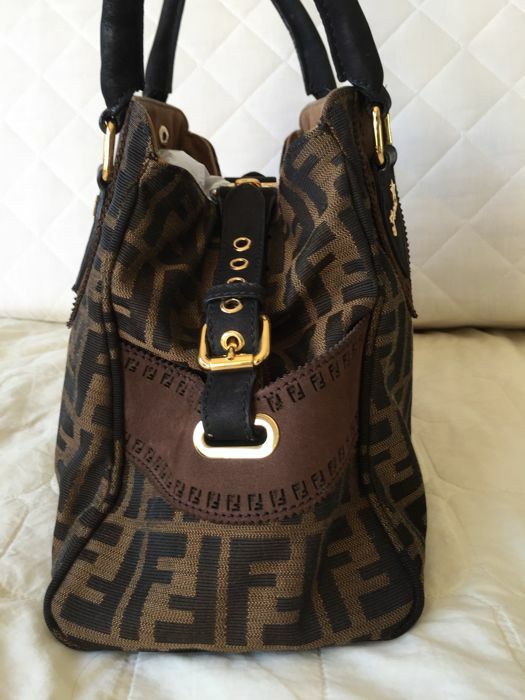 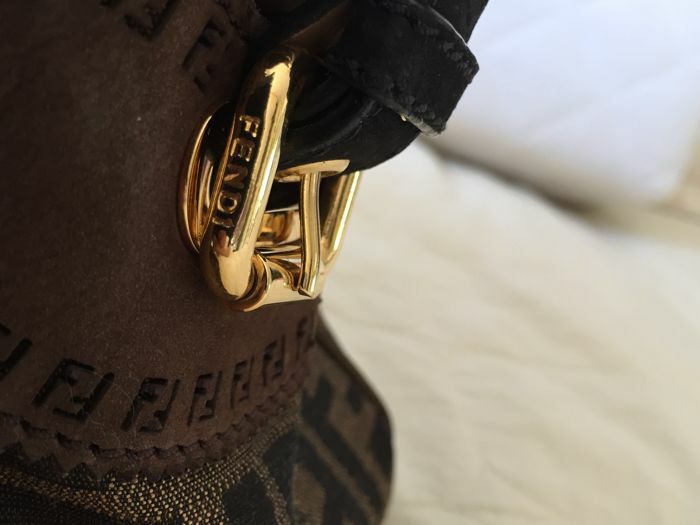 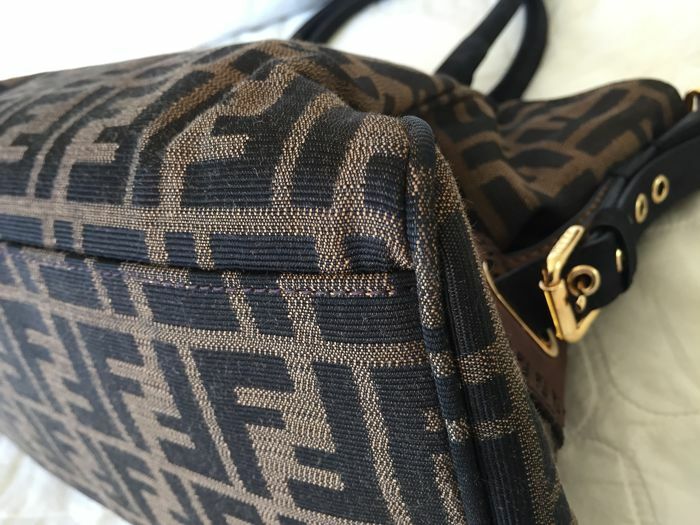 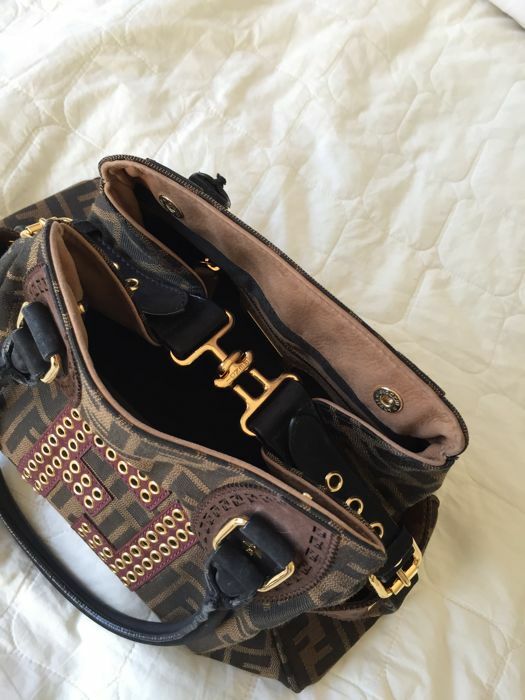 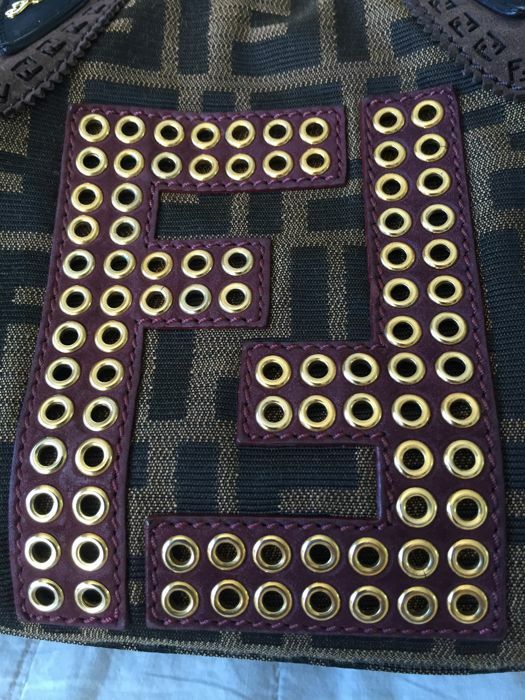 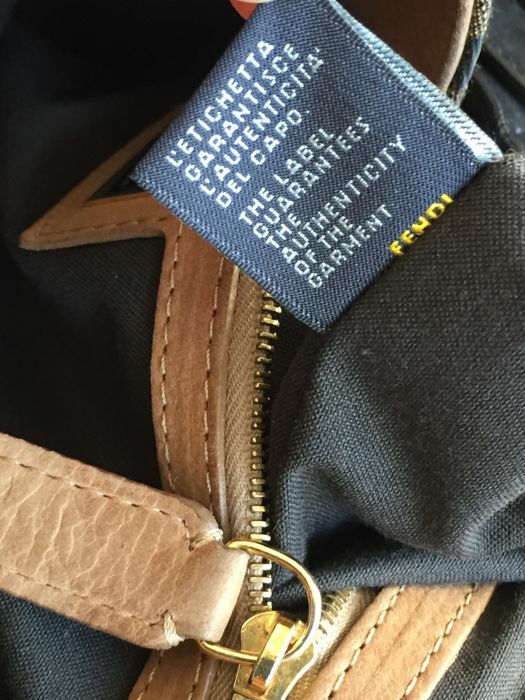 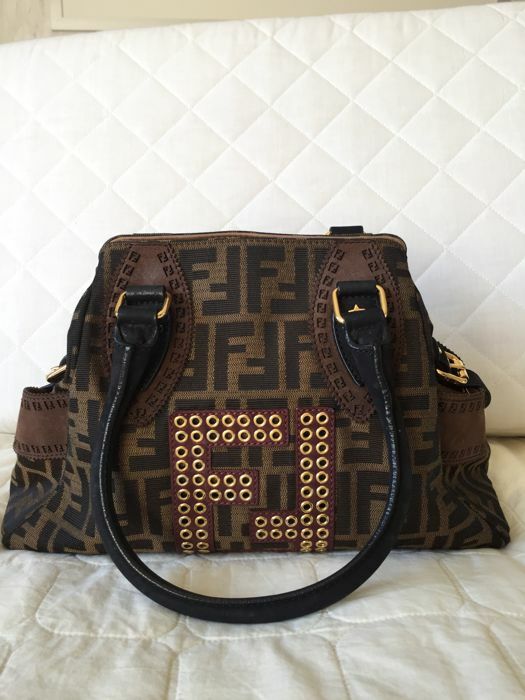 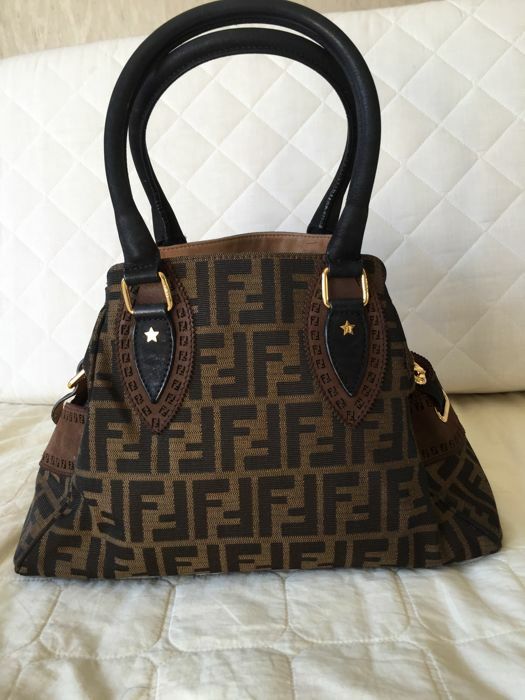 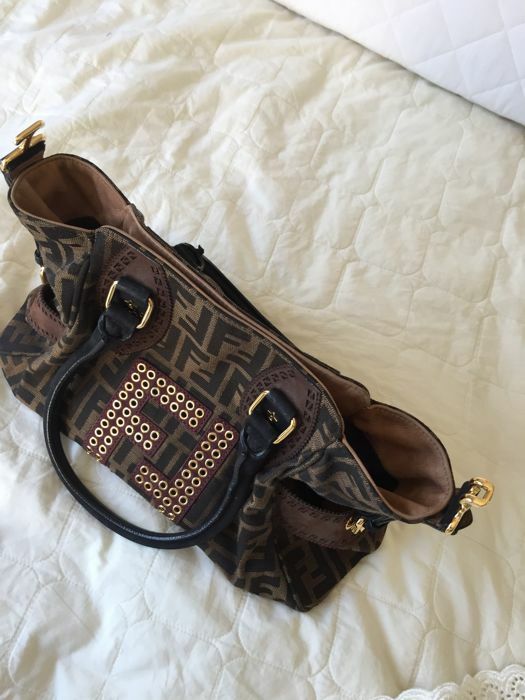 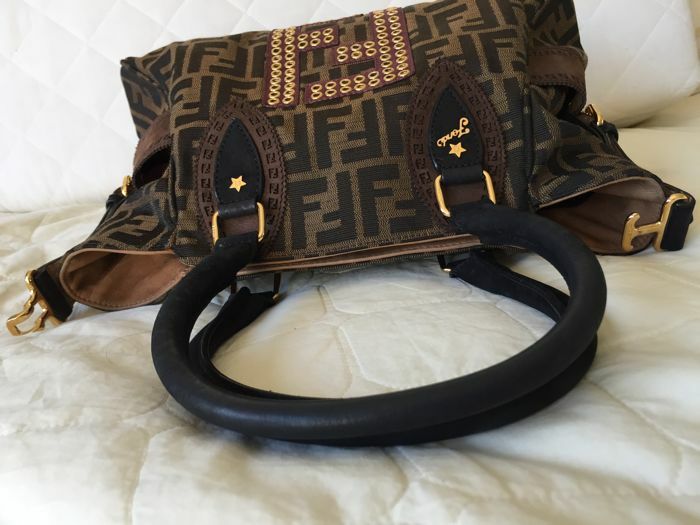 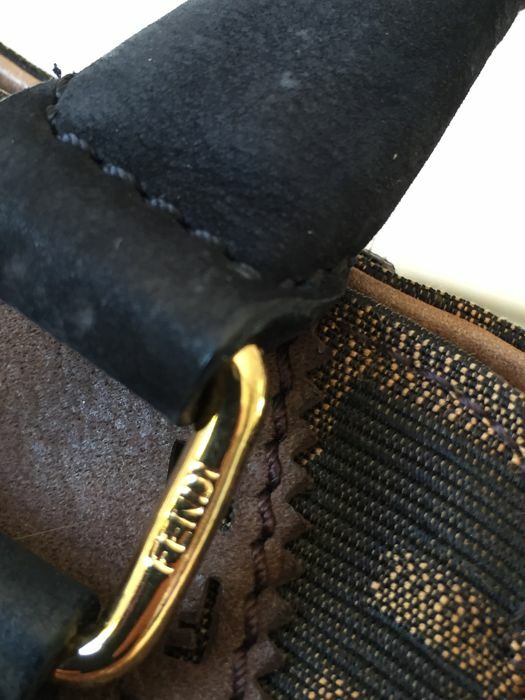 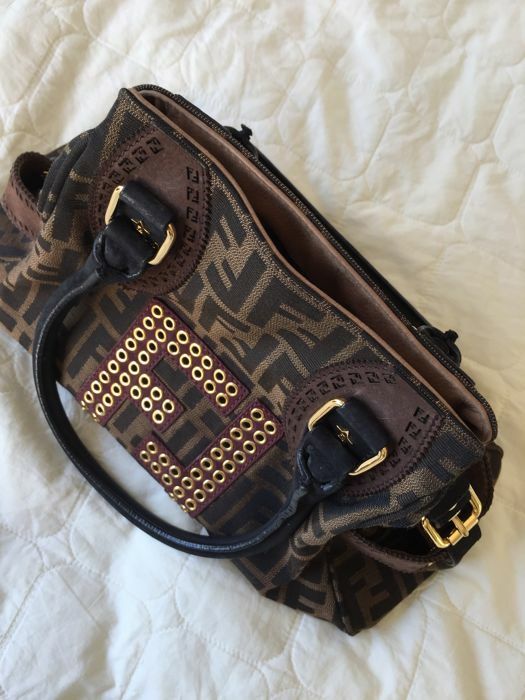 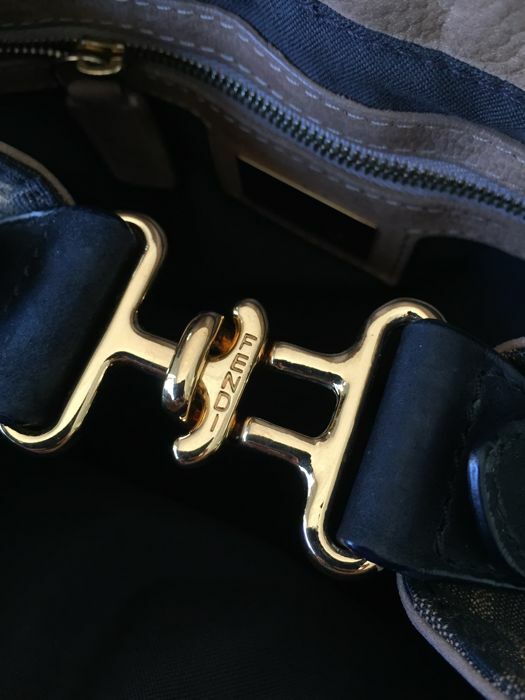 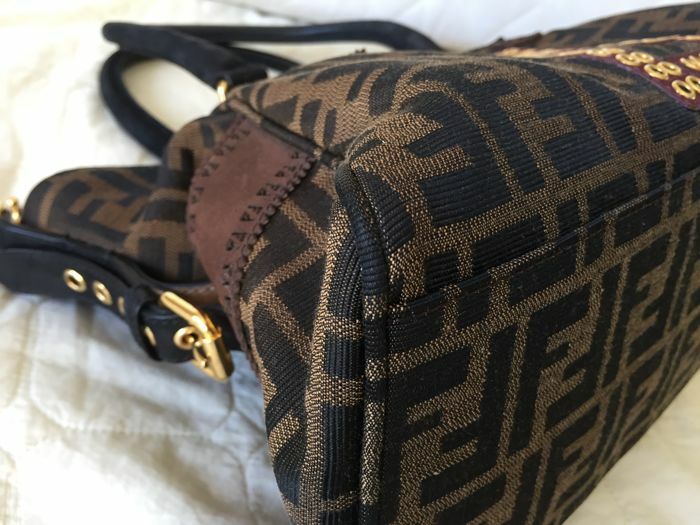 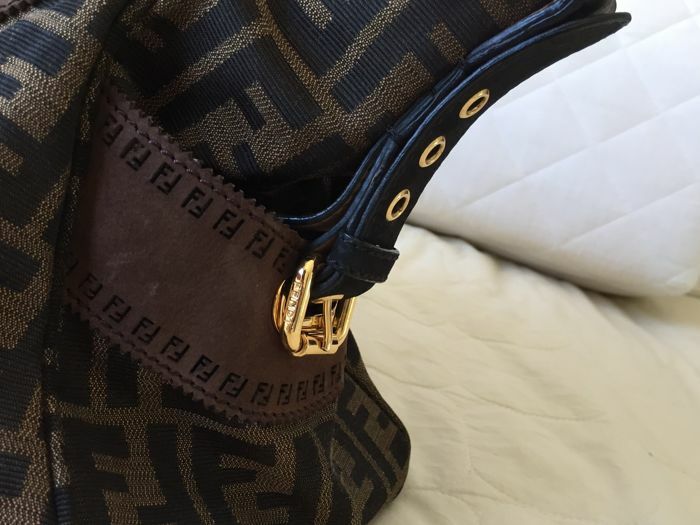 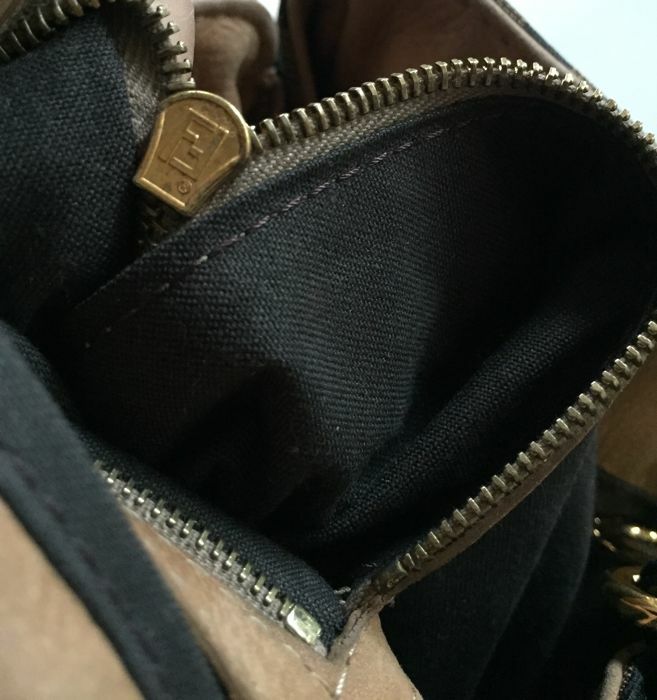 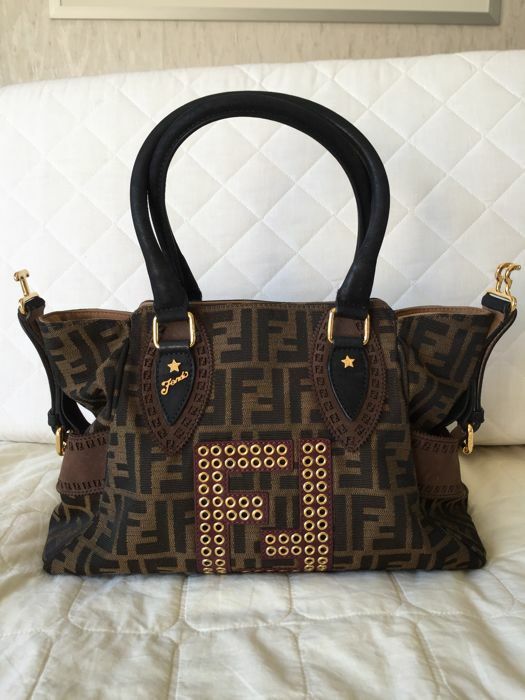 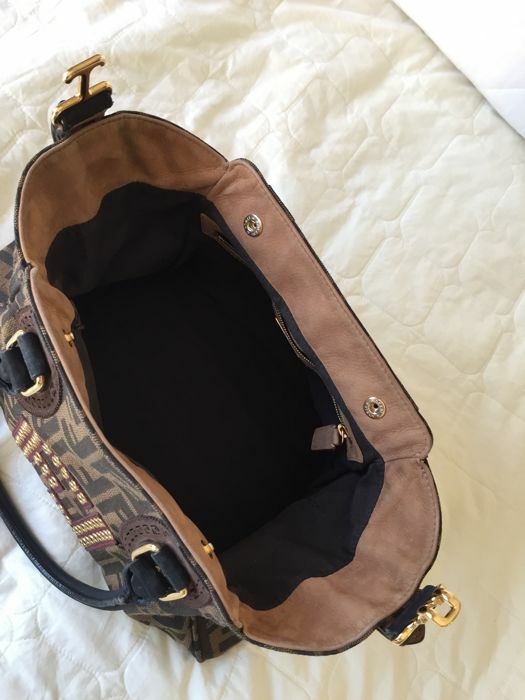 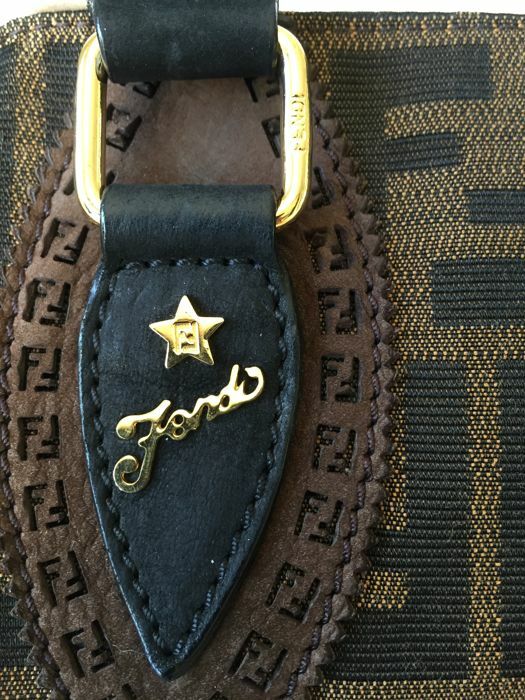 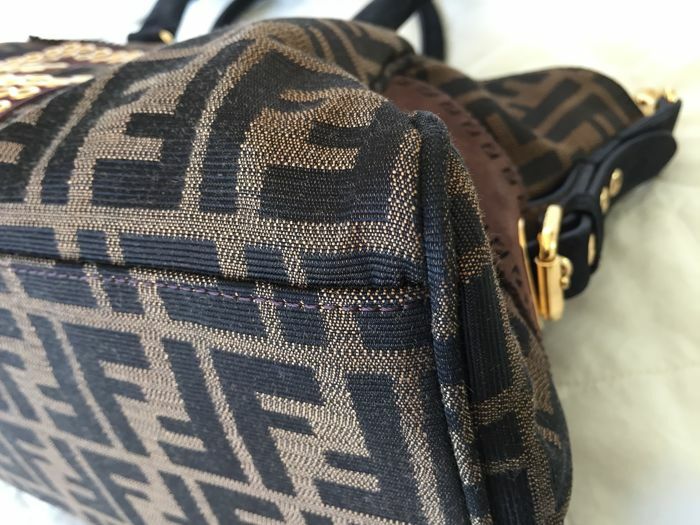 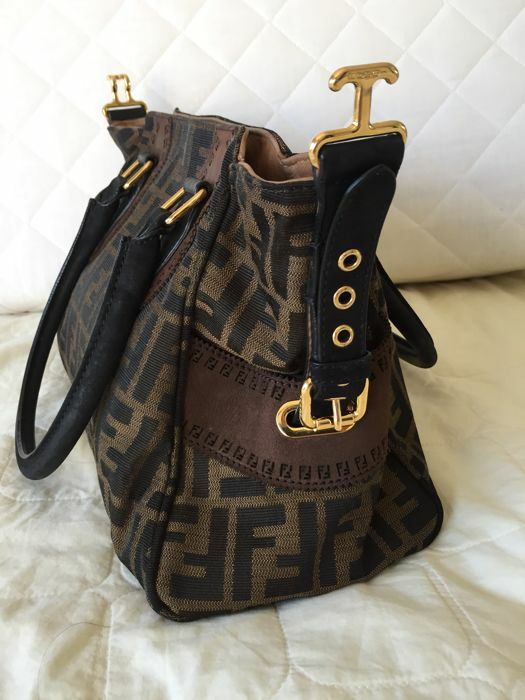 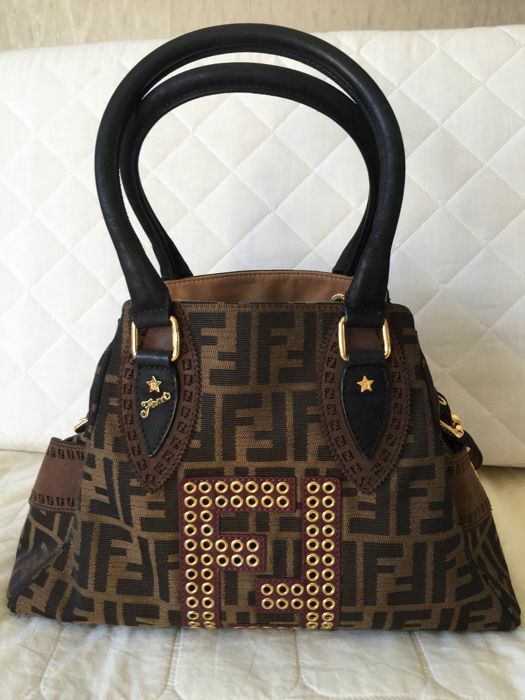 It features durable Fendi Zucca print canvas with black & brown suede trim and a Fendi logo embellished with goldtone grommet studs. 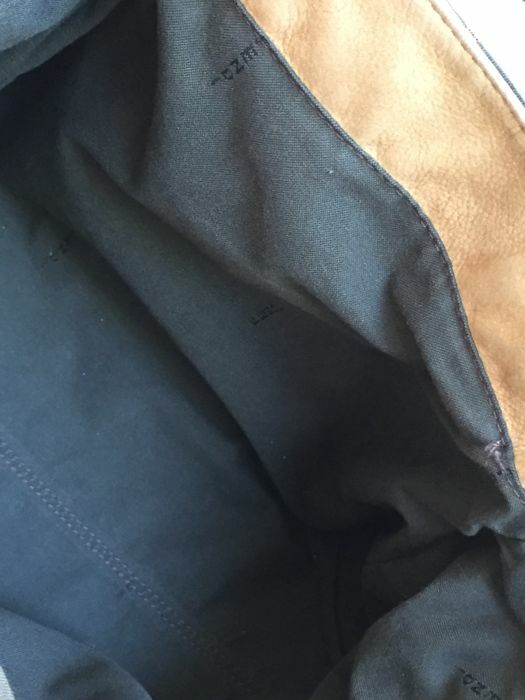 The exterior canvas is clean and beautiful. 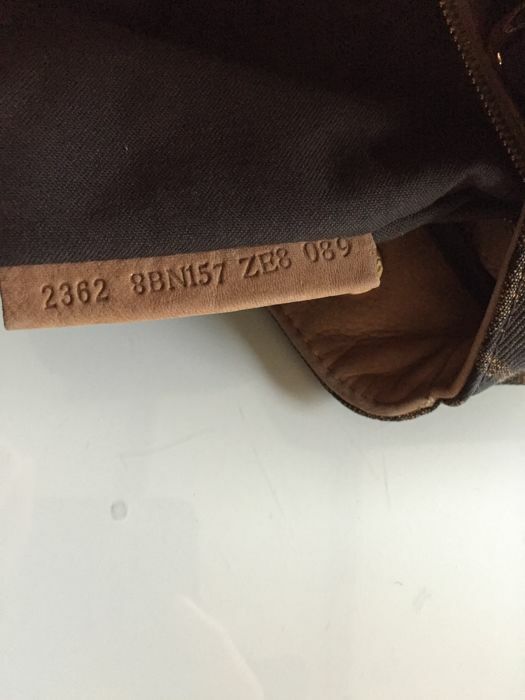 The exterior condition is approximately over 85% new. 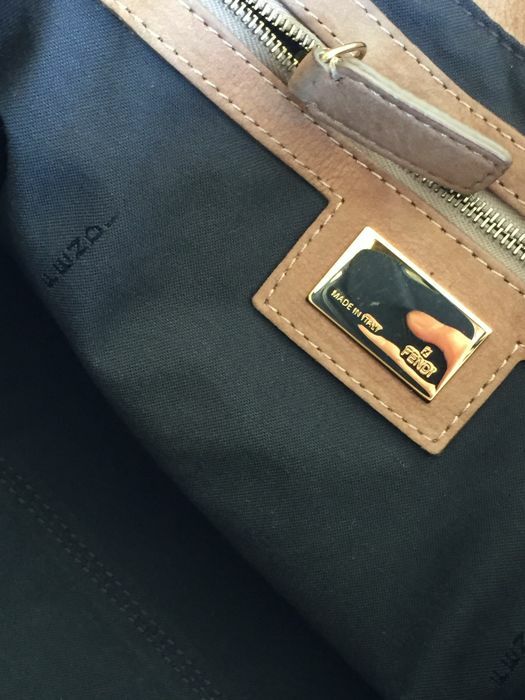 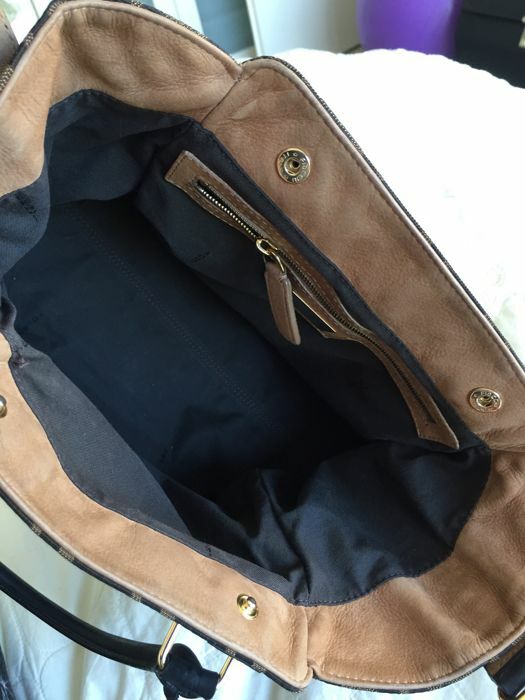 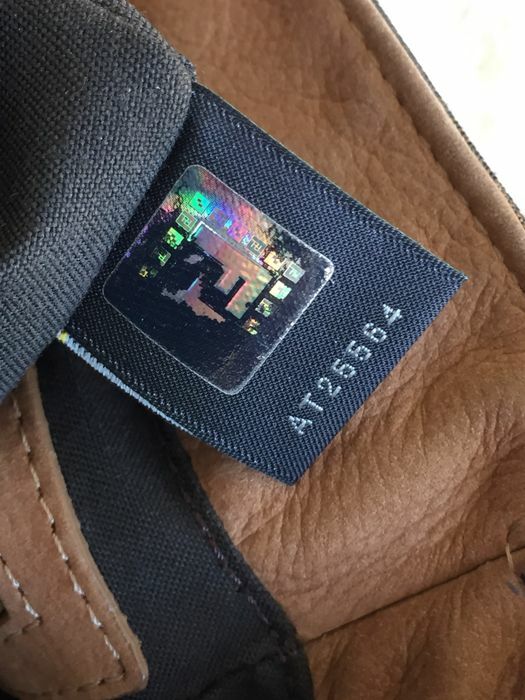 The lining in the interior is 85% new . 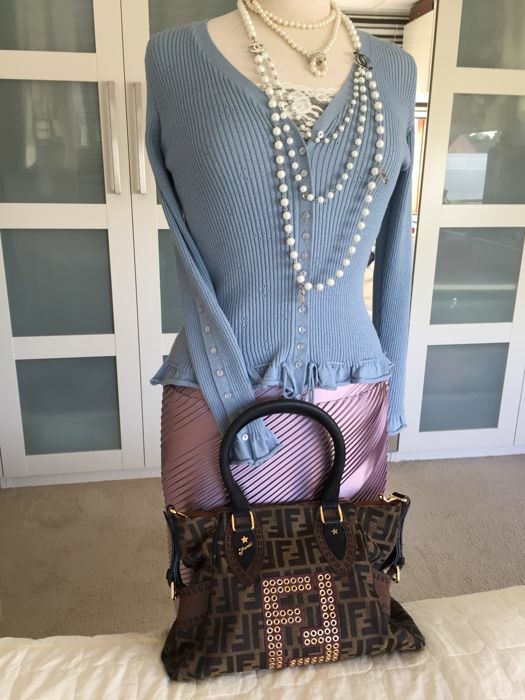 You can pick up this lot from the seller: Oldenzaal (), Netherlands.